I’m an Astronomer and science communicator, currently based at LAM in Marseille, France. I specialise in the study of transiting exoplanets, specifically the detection and characterisation of new worlds using space-based survey telescopes such as Kepler, TESS and PLATO. 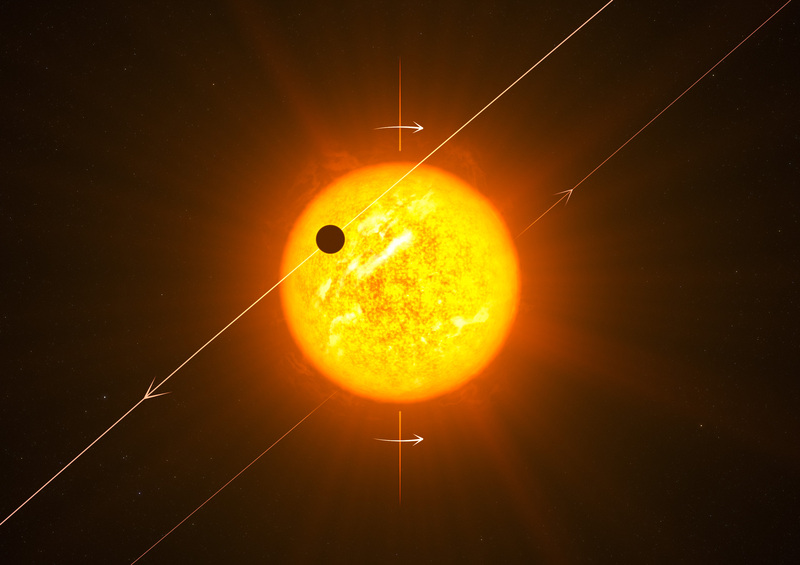 If that means doesnt mean much, head to my “Exoplanets – The Basics” page. To read more about me and find my CV, click here. To find my recent talks, click here. March 2019 – Our paper on classifying TESS candidates with neural networks (born at FDL 2018) is on the arxiv. June 2018 – I am spending the summer between NASA Ames and the SETI institute at the Frontier Development Lab – a collaboration between astronomy & machine learning experts. August 2017 – Based on our paper, the next eclipse of PDS 110 should occur in September 2017, so we have set up a global observing campaign at pds110.hughosborn.co.uk to do it. July 2017 – After an enjoyable three hour viva, I successfully defended my PhD thesis “Long Period Exoplanets From Photometric Transit Surveys”! May 2017 – I have moved to the Laboratoire d’Astrophysique de Marseille to start a postdoc working on the upcoming ESA PLATO mission! December 2016 – For the first time, I am a co-author on a Nature (Astronomy) paper! We found the first example of varying exoplanetary weather on a giant exoplanet. August 2016 – Back in Chile observing at the Swiss Telescope for a 2 week stint. July 2016 – Just climbed Mont Blanc, (Western) Europe’s highest mountain. February 2016 – I made it through the heats into the FameLab regional final where I talked about exoplanetary climate forecasts for 3 minutes. Unfortunately I didn’t make it to the UK finals though! November 2015 – Somehow, too many pub quizzes got me onto the 2015/2016 series of University Challenge! We got through to the last 16. The episode is here. July 2015 – Presented my work at the UK’s National Astronomy Meeting in Llandudno, Wales. My talk abstract can be found here. June 2015 – I’m back in Chile to observe on the Swiss Telescope. This time it’s deepest darkest winter though, so the nights are long and lots of work! May 2015 – PhD Science Communication course. This included recording a radio show at BBC Warwickshire, writing press releases and article summaries and even tv interviews. Very useful! April 2015 – I spent the last week as resident astronomer on the Astrotweeps twitter account. You can read my many updates on this storify, including discussions on WASP, NGTS, exo-moons, alien life and a whole lot more. April 2015 – Gave my first talk at a proper conference, at the UK Exoplanet Community meeting. I’m told it went well. Plus I won a pint by saying “that’s no moon”! January 2015 – I’m the guest on the Sound Science radio show at the Warwick Student Radio tomorrow. Will post the programme here when it becomes available online! November 2014 – I’ve arrived in La Silla Observatory, Chile! I’m here to observe on the Swiss telescope for 2 weeks. This 1.2m telescope has one of the most precise spectrographs in the world (Coralie), which makes it perfect to find planets via the radial velocity method. I’ll let you know what I discover! November 2014 – I have been selected as one of five contestants in the I’m A Scientist space zone. Students from across the UK will be sending questions our way for the next few weeks and whoever is voted to have answered the best, wins! UPDATE – I came second! Not too shabby, especially considering I’ve been here in Chile for the last week and unable to answer many questions at all!